As happens every year, Chinese police surrounded the village of Donglu, made famous among Catholics by an apparition of Our Lady in the early twentieth century, the official newspaper South China Morning Post reported. Police prevented pilgrims from joining with city residents for the celebration in honor of Our Lady. The forces of repression blocked the highways leading to the city with armed men standing watch day and night. 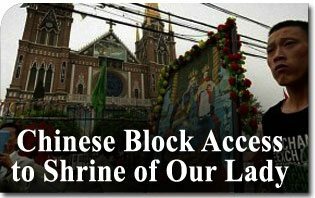 Even so, the ingenious Chinese Catholics managed to celebrate the feast with a solemn procession in front of the sanctuary. Meanwhile, the besieged city’s inhabitants maintain that “miracles are continuously happening” on the site. The shrine’s importance to China is comparable to Our Lady of Guadalupe’s in Mexico since it is the largest Catholic Church in the country. 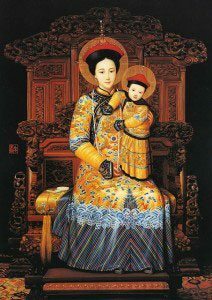 There were three apparitions of Our Lady in China during the year 1900. She first appeared in Peking accompanied by Saint Michael the Archangel and surrounded by many other angels. The second apparition took place in the village of Santai during the Boxer Rebellion by anti-Western nationalists; and the third took place in Donglu, which is deemed a bastion of the Catholic Church in the country. On that occasion, a most beautiful Lady appeared in the sky as the faithful implored Our Lady’s protection against 10,000 ferocious Boxer nationalists attacking the village, which had been converted to the Catholic Church by Vincentian missionaries from the West. 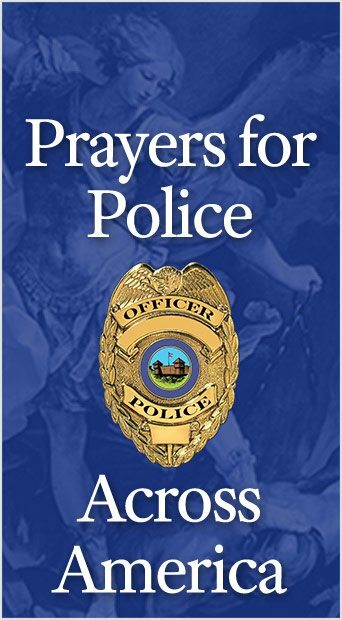 The pagan rabble is said to have seen a splendorous Lady hovering in the air, who terrified them, and a mighty horseman – perhaps Saint Michael the Archangel – who motioned them to turn around and leave. After the miracle, the Catholics built a splendid shrine to express their gratitude to the Mother of God. Our Lady, Empress of China. The first official pilgrimage took place in 1929 and since 1932 it has become so popular that Pope Pius XI granted the church the privilege of being named an official sanctuary of Our Lady. Donglu is the traditional destination of pilgrimages in the north of China, especially on May 23 and 24, feast of Our Lady Help of Christians. Every year, thousands of faithful from all over the country, and above all the so-called “catacomb” or “underground” Catholics, faithful to Rome and thereby particularly hated by the communists, flock to the shrine. On May 23, 1995, as the crowd reached the number of 50,000, the Communist government decided to prevent any more such pilgrimages by calling upon thousands of soldiers of the Red Army with tanks and helicopters. To represent Our Lady, a missionary chose a painting of Cixi, the last Empress of China, from the Manchu Qing dynasty, dressed in imperial garments as a model of a Chinese lady. An artist then based himself on that picture to paint Our Lady holding the Child Jesus. The Apostolic Nuncio, the most Rev. Celso Costantini, consecrated China to Our Lady under this invocation. The hostility of socialist thugs forced Catholics to hide the image in a safe place, so the one on display today is a copy. The original painting circulates on pilgrimage throughout China, hidden from government officials. This entry was posted in Catholic Perspective, News Commentary and tagged Catholic Church in China, Chinese Catholics, Chinese communist, Donglu China, Empress of China, Our Lady, persecution of Christians, religious persecution, Shrine by Luis Dufaur. Bookmark the permalink.